The art of calligraphy is about the visual expression of words and style of writing. Dip pens will let you create beautiful handwriting and decorative designs at home or the classroom and can be used in other media's alongside ink. Use them in water colour, acrylics and gouache (cleaning the nib to prevent clogging). 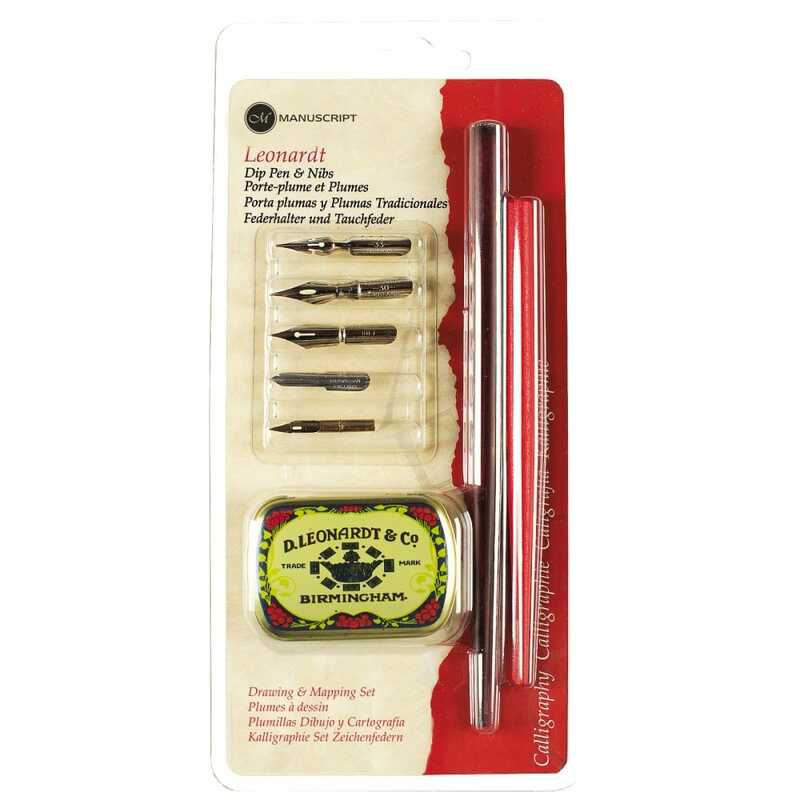 The drawing and mapping set is made up of a range of carefully selected nibs that are perfect for a variety of artistic applications such as fine drawing, sketching or working on Porcelain. Traditionally parchment crafters use a mapping pen and white ink or coloured ink for tracing. Set contains 1 wooden pen, 5 nibs: copying, point pen, general drawing, lithographic, mapping and a small storage tin ideal for keeping the nibs safe while not using.